Pressure cook all the dals for 30 minutes and keep aside. 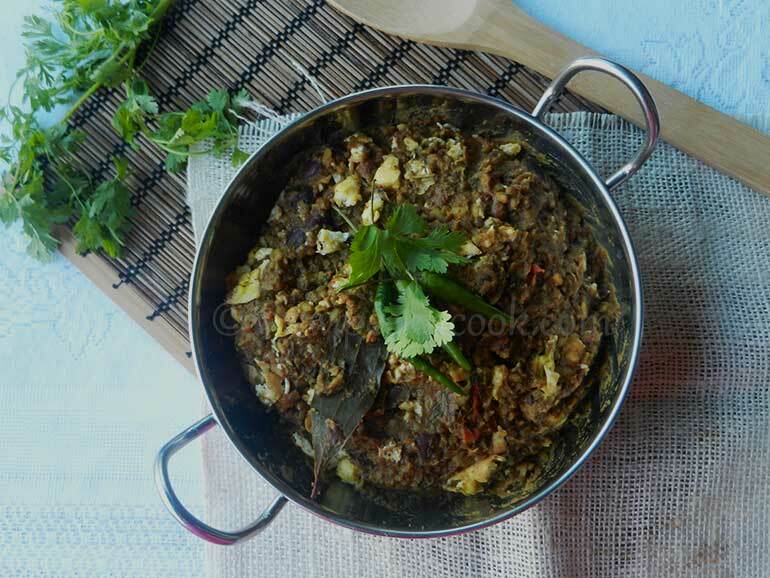 Heat oil in a large pan and add cumin seeds, chopped green chilies & bay leaves. When cumin seed starts cracking add onion and some salt and fry till onions becomes soften. Add ginger garlic paste and fry again. Add turmeric , red chili powder, coriander powder and fry it. Add chopped tomatoes and cover it to cook the tomatoes very well. When the tomatoes are well cooked open the cover and stir fry the masala till oil separates from masala . Add the boiled dal and kasoori methi and 1cup of water and bring the dal boil for 10 minutes. Now add the beaten egg to the dal and mix it. ( If you do not want to add raw egg into the dal then make bhurji in a small pan and then add it to the dal). After adding egg stir for some time and serve in a bowl and garnish with chopped coriander and serve with hot roti or poori.